I talked last week on Instagram Stories about why a CSA? If you didn’t catch it, no worries! That’s why I am posting today. Many people ask me the best ways to eat fresh and local with the seasons or even how do I know what is in season in my area? Awesome questions and I have some resources to help you out below as well, but my first answer will be immediate; a CSA. 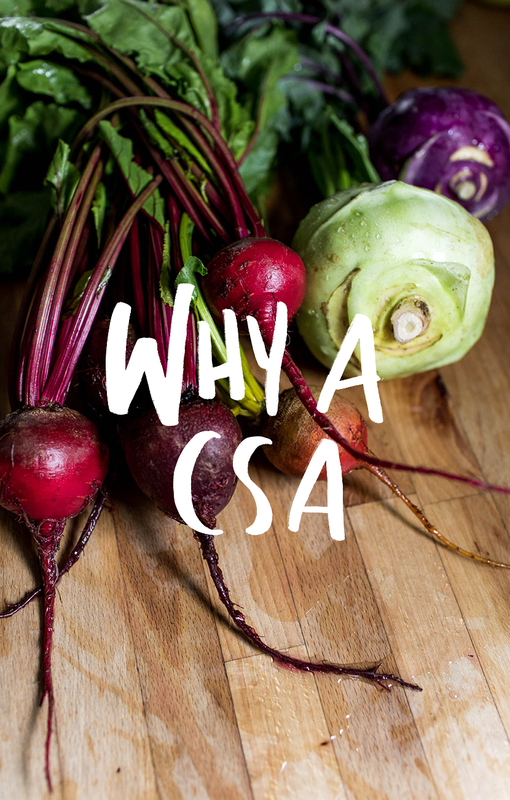 So what is a CSA? A CSA is Community Sustained Agriculture or some people also call them Crop Shares. This is a way to obtain direct from the dirt to your plate food from your local farmer. These boxes are a sustaining model for farmers to depend on during the year. It is a subscription model for getting your veggies…call it even the original Blue Apron if you want, but that is down playing the power of this amazing way to eat fresh and healthy. When we buy our food close to home and the less time it spends frozen, refrigerated, or out of its growing environment the less nutrients it has. Obviously, the best way to get the highest nutrient value out of your food is picking immediately before you cook it (aka from your own garden), but the second best way is getting it from the farmer in your town or in our case just down the road. Granted the other option is the farm market which is also awesome, but I will get to why a CSA is even better than the market a few points down. Back to the nutrient value though. The beauty of eating in season is that in-season crops coming nearby are cheaper to obtain and you eat less of them because you are filled because of higher nutrient values. We are hungry because our bodies need nutrients so the more nutrients our food holds the less we need. So not only are you saving money buying nearby (no need to pay for travel costs etc.) but you are getting a higher nutrient value and needing less. The further something comes to land on your plate the more expensive and the less value it holds for your body. A CSA contains a certain number of items each week depending on what you get and your farm type and more. Some have eggs and bread or even cheese with them. Some are just veggies. Depending on what you need and want. The best part is this means you need to spend less time at the store on Sunday evenings with everyone else. Your box shows up either at the farm, on your doorstep, or at a designated location. 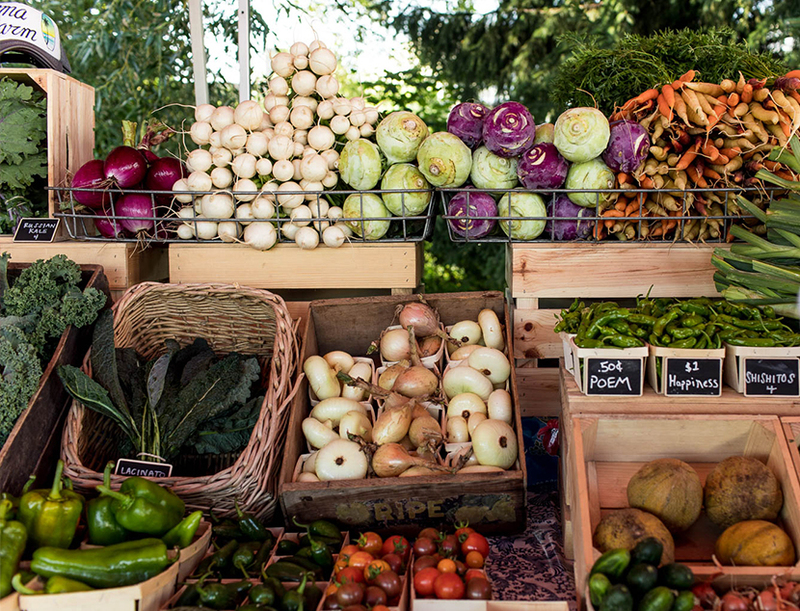 The best part is your farmer usually includes some notes on the veggies and recipes to make the most out of what is in there so no need to over think what you will do with these veggies. 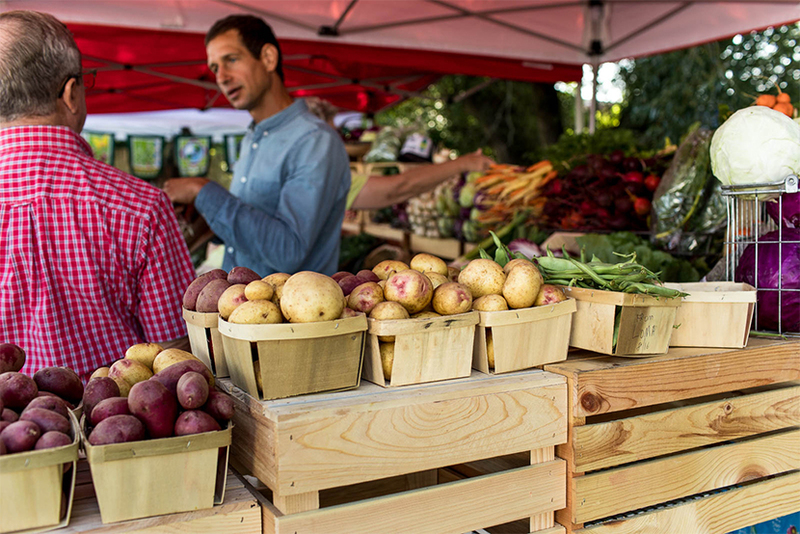 Plus, your farmer will be able to help you with knowing what to do with those veggies. Most farms want you to have a positive experience so they will be happy to answer your questions. Granted I am biased, but I think the most important thing we can do for our communities is to support local quality agriculture. There is nothing better for a local economy than choosing to purchase nearby whenever possible. Farmers work incredibly hard to feed us and many are young people and families that have made a conscious choice to serve their communities in this way. Supporting them rather than heading to a large chain grocery store is the best way to build up more quality food options in your area. By getting a box for a year or even the high season (late spring, summer, and all fall) you are giving a farm a commitment to know what they can grow and sustain themselves through that year. It also typically will allow them to give back in other ways to your community. Whenever we invest in anything local we invest back into our communities growth. You think Local and you might think EXPENSIVE. Not true! As I said in the Nutrient value point above buying local means our nutrient value is higher, which means we are getting more out of those veggies. Also, most of the boxes are really affordable when you break down the cost…a $500 CSA over 20 weeks breaks out to about $25 a week. Think about how much you might be spending right now on your veggies weekly that are coming from Mexico or even further that are lower in nutrient value and aren’t giving back to your community in any way. It seems like a reasonable price to pay. 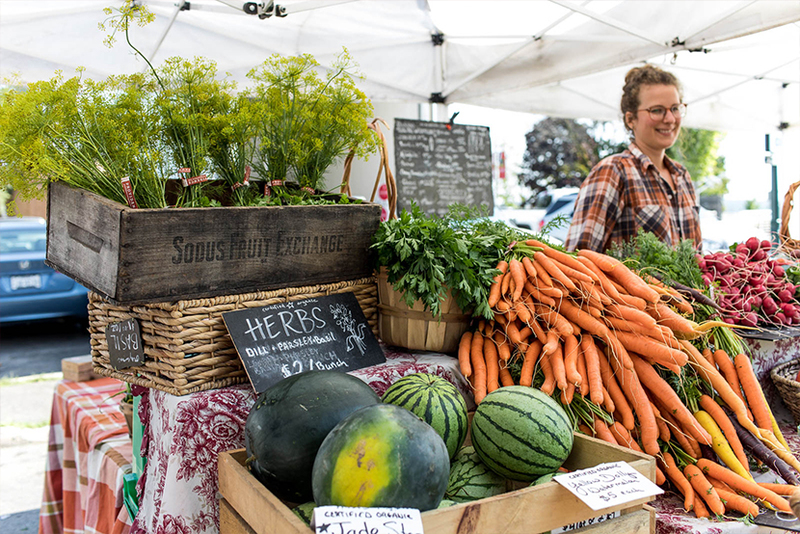 Most farms offer opportunities to meet and connect with other CSA holders. Some hold dinners at the end of the season or they offer tours of their grounds so you can see the farm in person if you aren’t picking up there on a regular basis. These are chances to meet new people with a like mind about healthy eating and usually are many times quite similar to you. This is a wonderful way to meet new people if you are new to a community. By supporting a local farm you are instantly making it clear you are invested in that area and the people feeding you, which is a big indication of your intentions with being in that community. Knowing you have a box of veggies every week is an awesome way to force you to eat well. Knowing you have to get through the box every week you will have to more or less be forced to eat through it and making you have to try new things, consume new things, and so on. Use one of the cookbooks suggested in this post for seasonal recipe ideas as well that are simple and many times from a farmer themselves. Sold! So how do you find one!!?!?!? Here is my list of sources to help you find a CSA or a farm to connect within your area. Go to your local market (there are typically indoor markets this time of year) and talk to a farmer you enjoy what they offer at market. Ask them if they offer a CSA and ask for options and details. How do I know it is the right one for me? Think first about how you/your family eat. How often are you cooking in or eating out. Do you eat eggs? Do you eat cheese? Are these things available from farms in your area? Do you like to meal plan for the week? Or a seat of your pants cook? knowing these things about you and your family will help you figure out first off what kind of farm to work with. Some will offer you a chance to choose things ahead of time and some won’t and it is simply what is prime to be picked. Ask how you will receive the box and then consider how this will fit into your schedule. Some do drop off service and some do pick up. Confirm the kind of commitment and length. Knowing how long it will last is important for your schedule. Some will allow you to cancel if it isn’t for you so just discuss this with the farmer if you are concerned. Ask around with other friends who have CSAs and see what they know. Friend advice is hit or miss sometimes, but at least you can bounce ideas around to figure it out with yourself. Finally, ask if you there are size options for the boxes. Meaning can you do half shares or full shares and about any other events or things they do for CSA members. Knowing all this info should help you choose a great CSA for your life and family. There are some CSAs that actually are setup similarly to Blue Aprons and so on so you don’t have to necessarily meal plan. They do it for you but source everything locally that they can. What if I don’t know what to do with the veggies or I am not happy with it? Talk with your farmer! Even if you paid ahead of time some farmers would rather you be honest about your experience then begrudgingly pick up your box. Also, if you are so unsure of how to make use of your box, ask them how they would conquer it. Make sure you have the right number of vegetables for your needs as well. If it is too much ask for a half share or if not enough, ask if you could pay more for a few extras. The best trick though is nearly everything in that box will be best prepared raw in a salad ORRRR just toss it in a pan or oven with an oil or animal fat with S&P and you have it done. It doesn’t have to be over complicated believe me. Vegetables are simple and cooking them should mean simpler meals not more complicated ones. Local and fresh means more flavor so less needs to be done to them. But what if I just like going to the farmers market? 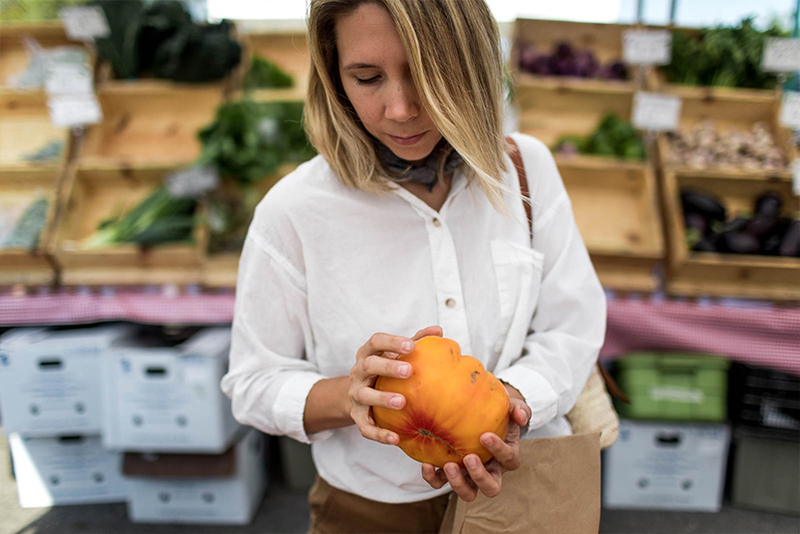 I hear that and I do it too still because I love it, but I love that my CSA brings me to the market on the slower day of market so I am not fighting the crowd on the weekends. This means a nicer and quieter day at the market instead of a hectic morning on the weekend. Just be conscious of what you are spending. Last year I took cash out and kept it as my cash for the summer months for market. It allowed me to keep very clear track of what I was spending. No matter what we spend more on food in the warmer months because of gatherings and guests and the abundance that we decide to preserve and save for the colder months. Things to all consider when thinking about a CSA and farm markets. If you have further questions or excellent resources even just for your area you live in leave them below for others. I know others would love to hear from you and about what works for you! Excited to hear more from you guys. Thank you for this! I’ve been meaning to join a CSA for years, but kept remembering when it was off season and then forgetting during the season! I just signed up with a local CSA whose veggies are grown by local refugee’s who are taught entrepreneurial SKILLS as well as farming. Love the whole thing! Yay! I’m not sure why skills is capitalized… I didn’t mean to do that! whoops! YES YES YES!!! I completely agree with everything! We did CSA for the first time last year and it has drastically changed the way we cook and eat. Not only were we eating healthier and better, we were able to build community with those around us and THAT is priceless! It also gave us an opportunity to educate ourselves by talking to the farmers and researching on our way if we got a veggie that we have not seen or eaten before- the education was unreal! Also, we actually ended up saving money! Going into it, I was worried that we would break our grocery budget for the month, but we actually saved money by doing CSA.